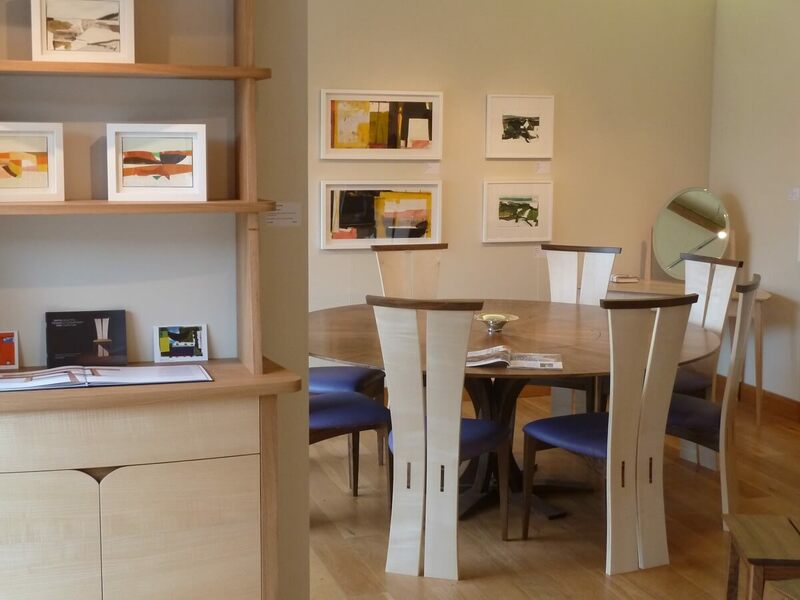 We have some very special pieces for sale – including a contemporary dresser piece in oak and ripple ash and a number of speculative ex-showroom pieces that have done their work and now need to be moved on. 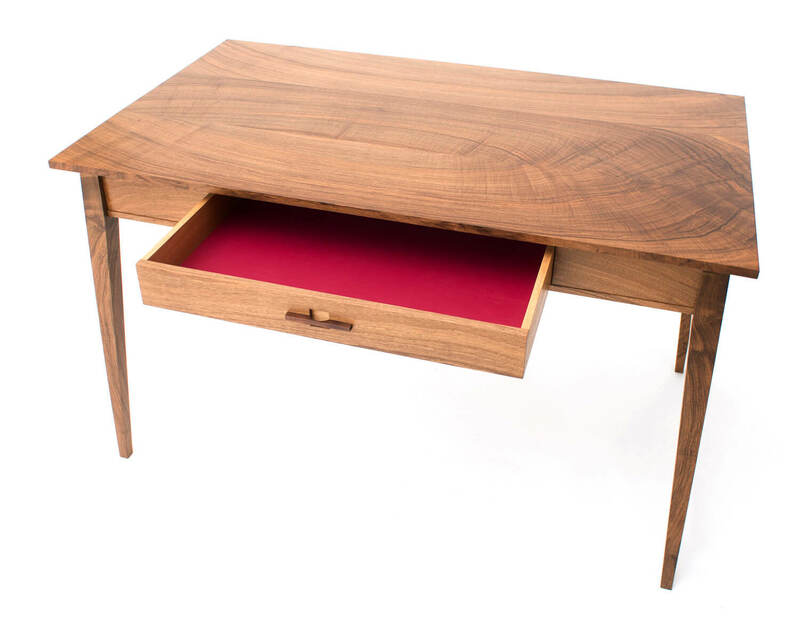 This year it’s the turn of the Rosa dressing table in ash and it sibling piece the English walnut Ronald Desk. We also have a number of sets of side tables. 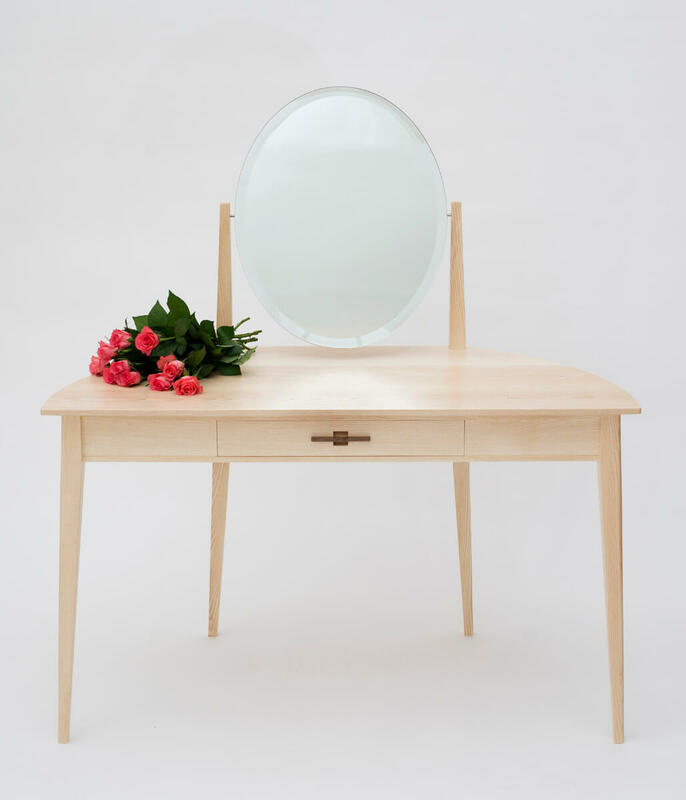 ‘Rosa’ is in bleached English ash with an oval adjustable mirror and a single drawer with divides and a pink leather drawer lining. ‘Ronald’ is in English walnut. A simple but very beautiful writing desk with a single drawer in oak. Pink leather drawer lining. 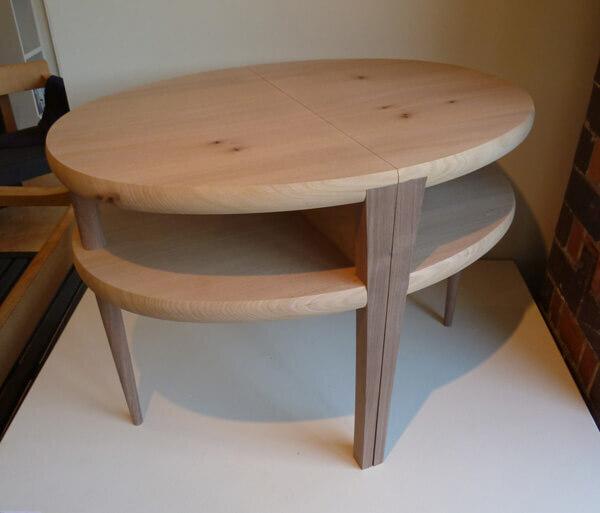 Oval side tables with magazine shelf in elm and black walnut. These innovative side tables come as an oval so can be used as a centre coffee table or split to sit on the ends of a sofa as an occasional drinks table. Either way really useful and flexible. Modern Dresser Cabinet in oak and ripple ash. Open oak shelves above with 2 doors and single drawer in cabinet section. A piece that would look stunning in a kitchen, reception room or hallway. The ultimate in practical contemporary furniture pieces. The pieces are available to view at the Courtyard Gallery by appointment. If you require more information please don’t hesitate to contact Simon.